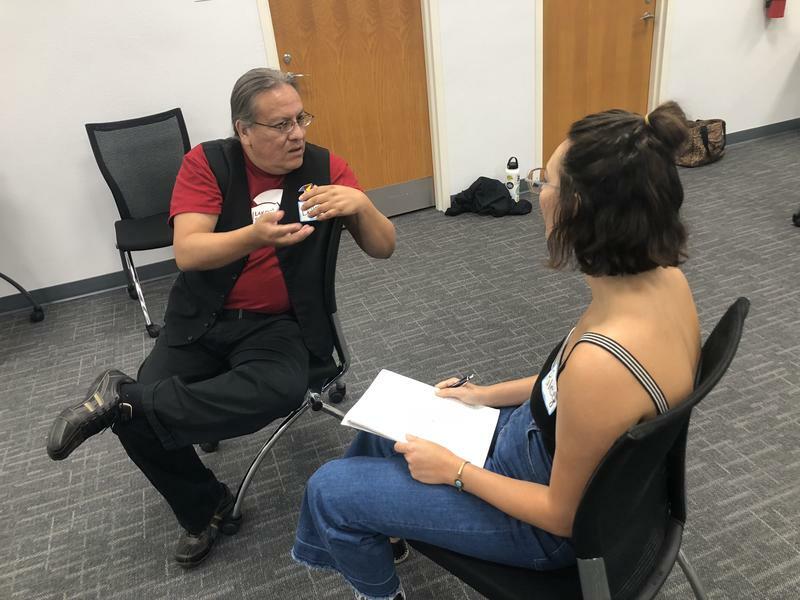 Prairie Public's "Ask A Native American" event paired up 8 Native and 8 non-Native people for one-on-one conversations -- 8 minutes, and you'd switch partners. We were worried that it might be dull, or it might be too contentious. We had not done something like this before. We gathered in the North Dakota Heritage Center on a Saturday morning in August of 2018, with people chatting as we dealt with some last minute substitutions. After a brief orientation, we started. 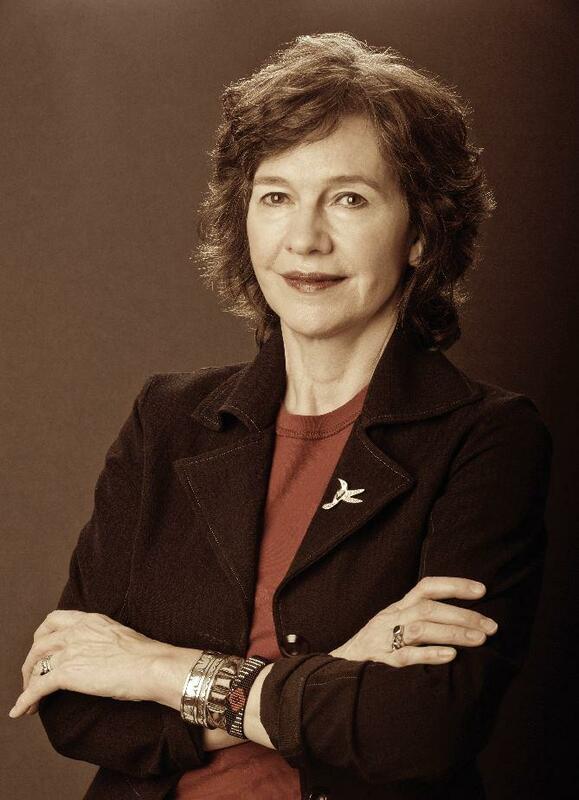 In 2012, Louise Erdrich appeared at a symposium put on by the North Dakota Humanities Council, at the Bluestem Amphitheatre in Moorhead. Jamieson Ridenhour (also a writer) interviewed her, and the audience put in questions. You can read a summary of her accomplishments here , and if you want to look over and maybe even buy her books, here is a page at her own bookstore. 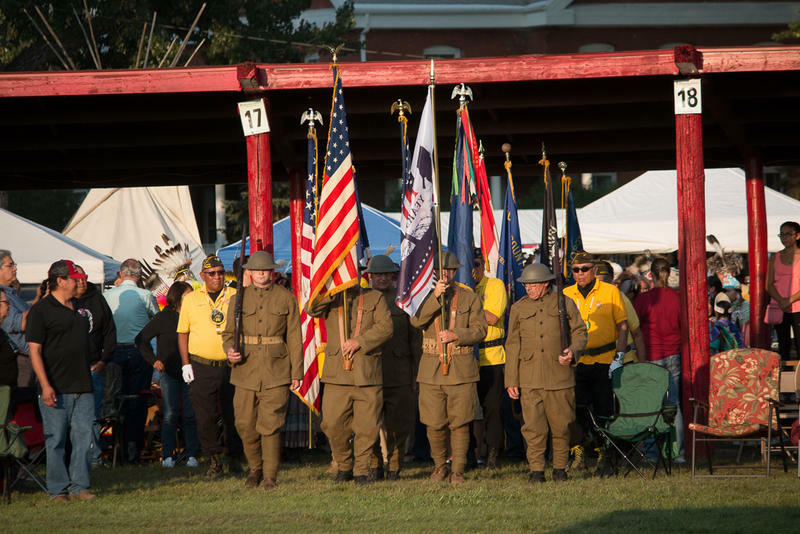 Native American veterans of World War One were honored at the annual United Tribes Pow-Wow this weekend in Bismarck. They served even though at the time, they were not recognized as citizens of the United States. "Native Americans were the largest per-capita in America to serve in the Great War<" said National World War One Centennial Commission member Terry Hamby. "There were 12,000 Native Americans that served. Over 800 gave their lives." Hamby said he hopes the UTTC event will help tell a story that should be told. In North Dakota, poverty hits counties with Indian reservations far harder than most of the rest of the state. Joe Donnell is the executive director of Warriors Circle, an organization working to build leadership skills among Native American men. Today, we hear his personal story of overcoming abuse, and how it relates to the larger picture of how cycles of abuse often happen in poverty-stricken areas. Here is a transcript of the interview -- it does not include the excerpts from the stories included in the audio. 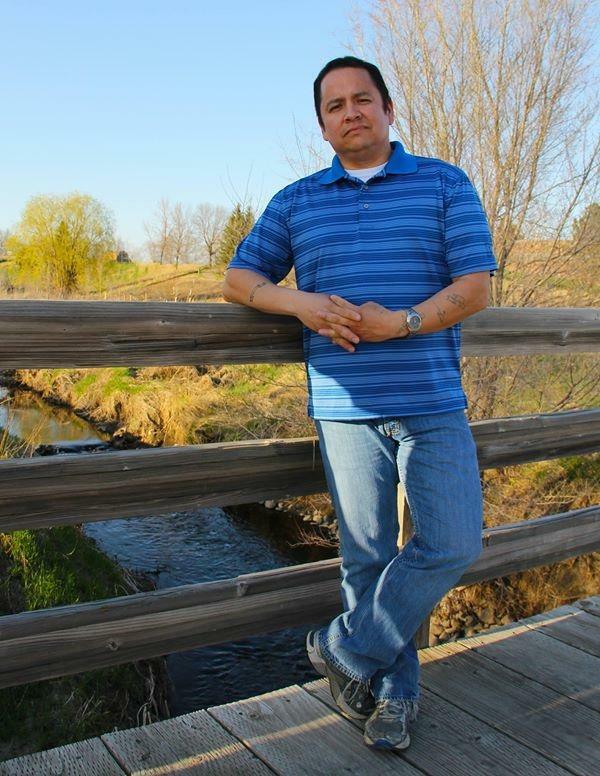 Bill: I'm talking with Dakota Goodhouse, who is an instructor of Native American studies at United Tribes Technical College, hello Dakota welcome to the show. Bob Grey Eagle: Hello my name is Bob or Bobby Grey Eagle. My Indian name is […] It means "The Long-Ago Ancestor," or as a friend of mine calls me, "He Brings His Relatives With Him." My tribe is the Lake Traverse Reservation, the Sisseton, Wahpeton, Dakota, Oyate. I live in Bismarck, North Dakota. I've been here since the mid-eighties. A long time. Lorraine Davis: That is a long time. Mark Little Owl: My name is Mark Charles Little Owl. 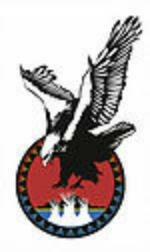 I am from the Three Affiliated Tribes, the Mandan, the Hidatsa, and Arikara Nation on the Fort Berthold Reservation. I am from the Twin Buttes segment, home of the Mandan or the Nuweta people. My Indian name in English is The Last One. I don't know how to say it in Mandan. I don't want to mess it up. I currently live in Bismarck, North Dakota in the Bismarck Mandan area. I've been back now for about a couple of years. Anita Charging: My name is Anita Charging. My native name is Blossoming Peppermint, […]. I am tribal enrolled with the Mandan, Hidatsa, and Arikara nation. I have lived in Mandan for about the last 33 years, Bismarck- Mandan area. I'm divorced and I have three children. My oldest is Nathan, he's 34. My daughter Brianna is 27, and my youngest daughter Larissa is 19. I have two grandchildren. Stacy Zephier: My name is Stacy Lee Zephier I am from the Yankton Sioux Tribe. I currently reside in Bismarck, North Dakota. I've lived here since December 2013. I have eight children but on six reside with me. 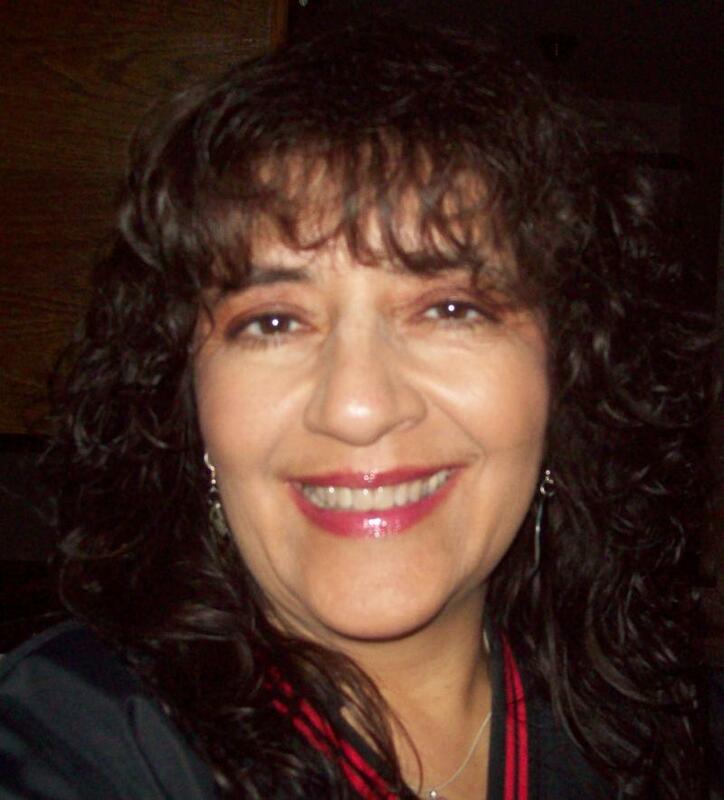 I'm pursuing my degree in business tribal management at the United Tribes Technical College.